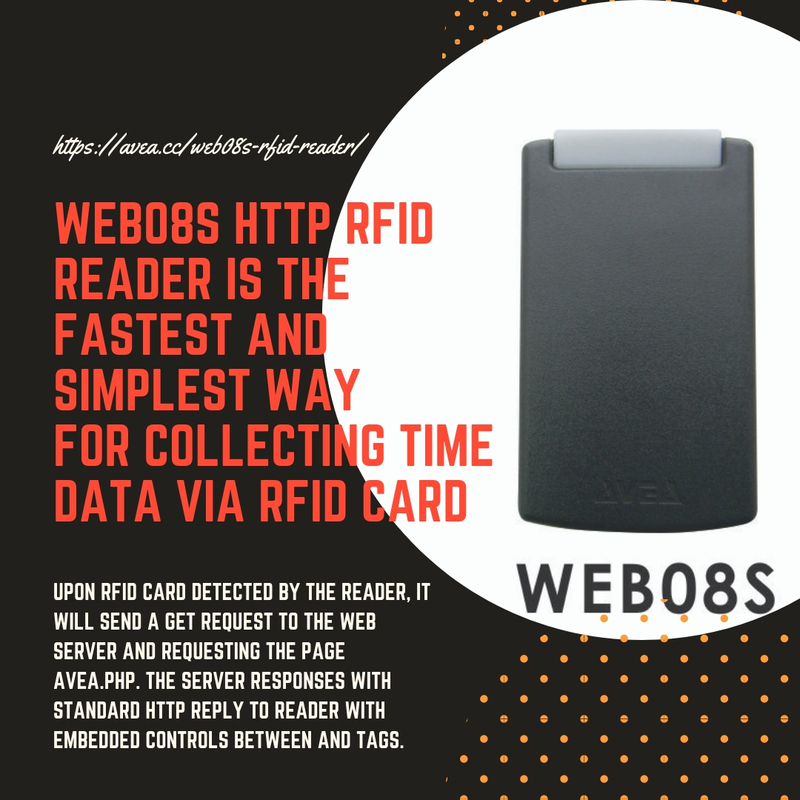 AVEA WEB08S RFID Reader is the fastest and simplest way for collecting time data via RFID card - AVEA - designs and creates the HTTP web client IoT RFID reader, 125 kHz & mifare card readers, card access control and time recorder systems. – Upon RFID card detected by the reader, it will sent a GET request to the web server and requesting the page avea.php. The server responses with standard HTTP reply to reader with embedded controls between and tags.